After a magnificent Thanksgiving Day Parade, Santa has taken up his annual residence at Macy’s. “A Million Reasons to Believe” is Macy’s current Christmas slogan. 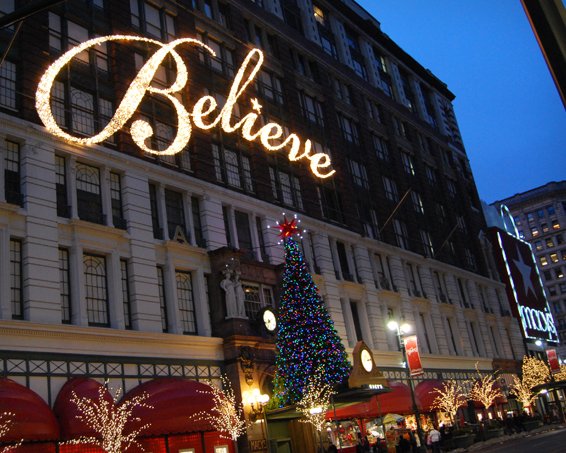 I’m impressed every time I pass the eye-catching letters “Believe” at the front of the flagship store. It’s the same when I see the bright lights of their Christmas tree with a star at the top. It gets me in the right mood for Christmas. Whatever you believe, Christmas time is a sentimental time of the year. While it makes it easier to open your wallet, it’s all the more easy to open your heart. And while we are on the subject of wallets and the gifts we would like to give to say “we are thinking of you,” you certainly don’t have to spend tons of dollars for your loved ones on Christmas presents. Swap instead! • Verify once and trade as a user who others can trust. • Verification enhances site security and helps assure that your trading partners will be who they say they are. • Increase your visibility with the icon. • Join the premier ‘Verified Users’ club to chat and trade with other verified users. • You must be verified to use points, our onsite currency that is convertible to dollars. 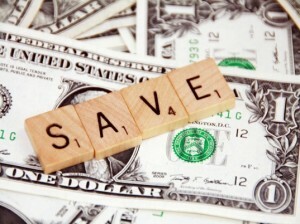 Believe in BarterQuest, save money on your Christmas gifts and verify now! Every one of us has dreams: Some are just ideas; several are so crazy that they will never come to be; and then there is that one special dream we think about over and over again until we turn it into a reality. The founders of BarterQuest had a dream six years ago that became a reality. It wasn’t easy, but they believed in it and persevered. Now BarterQuest can help to turn your business idea into a reality through business to business (B2B) barter. Make a list of services or goods you have to offer. These are your HAVES. Become a business member and join our business trading network . Get an impression what other businesses HAVE and WANT. Post your HAVES and post your WANTS, the things you need for your business. Search or use our MATCH to find potential trades. You would like to find other businesses to trade locally, nationally or internationally? Join the New York, US, or World clubs to network with other businesses. Each time you barter for what you need instead of buying, you can be (1) converting excess inventory (a cost) into things you use in your business (a benefit), increasing your profit margin, (2) conserving your cash (helping cash flow and management of personal finances), and (3) networking for new clients. Bring your dreams one step closer by being smart and bartering!